Author KibetPosted on October 26, 2017 Leave a comment on Get a Free Intriguing Mystery in Return for a Honest Review! 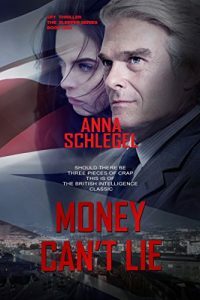 Money Can`t Lie (The Sleeper Book 1) (Mobi Version) by Anna Schlegel. Genres are: Mystery Book File in return for a Review. Price: Free. ASIN: B01MU33K6I. You can review the book on the Kindle Store. Free Suspense Book in Return for a Review! Author KibetPosted on April 27, 2017 Leave a comment on Free Mystery Book From Anna Schlegel – A Legend of Kim Philby! Review Saint Book in Return For Reviews!